It's always bitter-sweet for me to say goodbye to the one-of-a-kind pendants and necklaces that I create. I'm thrilled that another customer has found a piece that brings them joy and brings their outfits to a new level. 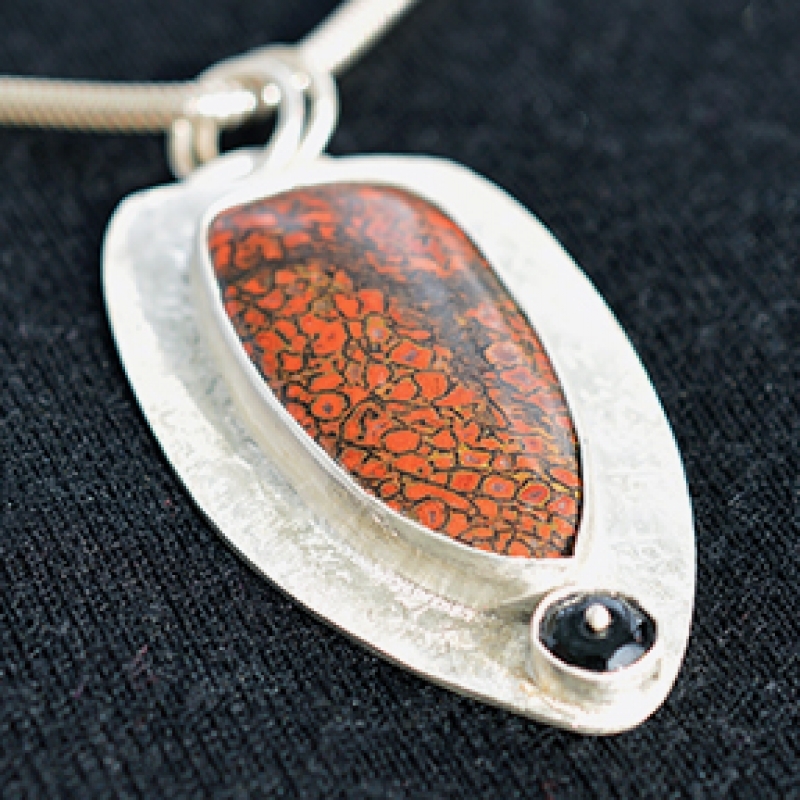 This weekend I say goodbye to the Petrified Dinosaur Pendant that I recently created. This piece has so much going for it; agatized bone was created over 100,000,000 years after the dinosaur died and was buried. Found throughout the world, dinosaur fossils were laid down some 65 to 230 million years ago. Agatized dinosaur bone is a rare form of fossilized dinosaur bone where the original fossilized bone has been replaced/substituted with agate, jasper, chalcedony, or even opal. An excellent stone for past life work. Wonderful for calming anxiety, in particular survival anxieties. It helps, too, with communication and ability to understand communications. Physically, dinosaur bone is used for the healing of paralysis, broken bones, hearing, vigor, and regulation of body temperature. And so I wish my new client great happiness wearing this wonderful piece, and look forward to seeing her again for more one-of-a-kind jewellery in the future.